"We wanted to make it so Curtain Call is like your base and then you would add more songs as newer titles joined the roster and be able to accommodate for DLC or things like that and build upon it. 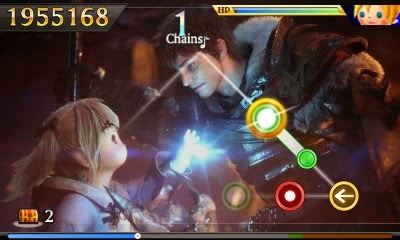 But that would be our final form of Theatrhythm that handles the Final Fantasy songs. In terms of Final Fantasy songs, we will continue to produce new Final Fantasy titles and with that, there'll be new songs added to the repertoire." Theatrhythm Final Fantasy: Curtain Call already contains over 200 songs and I think it's wonderful they are willing to continue expanding as the Final Fantasy series does. This is what I personally think DLC should be - not just milking money, but adding where it is appropriate to the game's purpose. Let us know what you think of this DLC decision in the comments! Theatrhythm Final Fantasy: Curtain Call is currently available for North America pre-order from the game's official website or at our Amazon Store. European readers can pre-order at Play-Asia.